Bruno, an American, has come to Ireland to search for his roots. Addie, an out-of-work architect, is recovering from heartbreak while taking care of her infirm father. When their worlds collide, they experience a connection unlike any they've previously felt, but soon a tragedy will test them - and their new-found love - in ways they never imagined possible. The coast of Dublin, Ireland. IT WAS A WET MONDAY morning in mid-autumn when Bruno Boylan finally set foot in the land of his forefathers. He was traveling on a four-hundred-dollar return fare that hed purchased just days beforehand from the comfort of his own home. A couple of clicks of the mouse and a sixteen-digit credit card number. No ticket, just an e-mail printout and a magic code. No delays, no stopovers, no adverse weather conditions for the crossing. Hed stayed awake through the drinks cart and the meal. Hed read his book for a while. Then hed popped a Xanax, slicing hours off the flight time in one fell swoop. He was traveling light. All he had with him was a small backpack and a canvas bag in the hold. There was nothing whatsoever to suggest that this was anything in the nature of an epic journey. This Is How It Ends, set in Dublin, Ireland in 2008 is just about perfect for a quiet read, perhaps wrapped in a sweater and holding a mug of tea on one of the first cool evenings of fall. Addie occupies the grand narrative at the center of MacMahon’s novel. A woman who looks and even feels young, she is nevertheless starting to cope with the challenges – aging parents, envy over her sisters’ fecundity, loneliness and regret – of early middle age. Addie is hardly alone; virtually every character also occupies a transitional space, passing from one state to another, coping with endings of one sort or another. What MacMahon sets against this series of losses, however is an equally powerful series of small, hopeful moments, passages of great simplicity and beauty. (Reviewed by Norah Piehl). A tender love story. A book about love, family, children and that glorious sense of being alive. The beginning of bank protests, alongside the American election and how crucial it seemed, send a tremor through the narrative. The characters are believable and the writing is elegant. This is a book with film rights written all over it. An exceptional novel... It is truly a story for our time. This is How it Ends signals the belated arrival of a new Irish commercial writer with an extraordinary gift and a voice that is entirely her own. Kathleen MacMahon's prose could not appear more effortless or beautiful... The twist in this tale is utterly unexpected and satisfyingly unpredictable... A bittersweet, engaging novel that will no doubt become a book-club darling. It has 'future classic' written all over it. [M]arvelous characters who will linger long in readers' hearts. This moving book will appeal to those who enjoy popular contemporary fiction, particularly the work of Maeve Binchy and Barbara Delinsky. An autumnal novel that combines the poignancy of Persuasion with the sentimentality of Love Story. "Poor old Sarkozy," Addie remarks at one point in This Is How It Ends. "Poor Angela Merkel. They all seem so dowdy now, by comparison. It's like we all went to the movies in the middle of the afternoon and spent two hours swooning over George Clooney. Then we came home and found the husband sitting on the couch with his beer belly." She's referring to Barack Obama, of course. 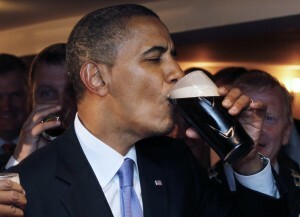 MacMahon's novel is set during and shortly after the 2008 U.S. presidential campaign, and one of the interesting juxtapositions she creates is that within a population increasingly skeptical of Americanization (from economic crises to excess litigation to the horrors of a chilled Guinness) they are still enamored of candidate Obama and all he represents. A Love Story for this generation, Me Before You brings to life two people who couldn't have less in common - a heartbreakingly romantic novel that asks, What do you do when making the person you love happy also means breaking your own heart? A stunning debut novel about an extended Sri Lankan family - a kaleidoscopic view of contemporary immigrant life, by turns darkly funny, sad, poignant, and uproariously beautiful.